The Electrical Alliance and its Joint Apprenticeship and Training Committee (JATC) know that in order to build a strong community, you must contribute to it. This is why they are sponsoring activities at Big Build 2013. The National Building Museum’s Big Build is a hands-on family festival that attracts more than 4,500 visitors annually and provides the opportunity for children to work alongside experienced artisans and craftsmen as they demonstrate skills. It introduces youth to a wide range of respected professions with interactive demonstrations, games, and activities, while educating them on the built environment. Members of the Electrical Alliance and the JATC are hosting three educational activities at Big Build, where kids can install wire to light a bulb, bend conduit, and decorate light switch plates. Additionally, the JATC will display two solar panels and an electric vehicle charging station. 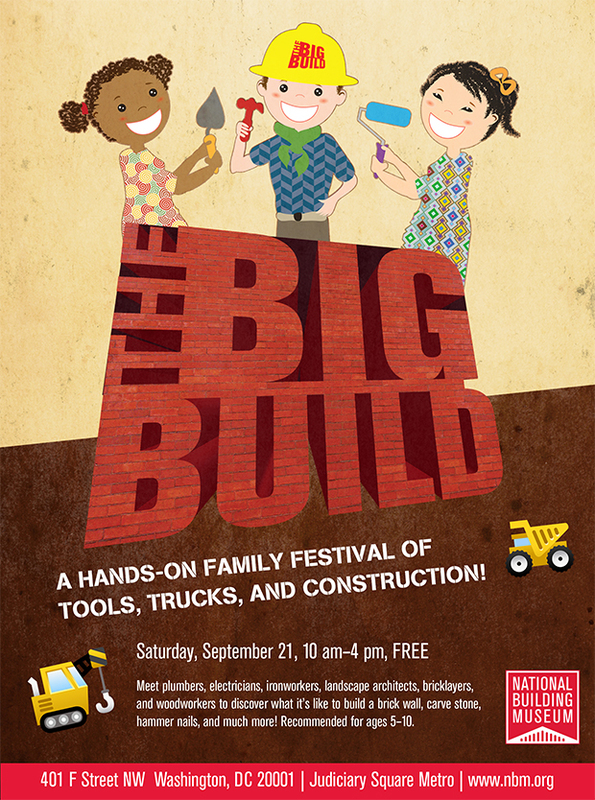 The annual event is Saturday, September 21 from 10:00 a.m.-4:00 p.m. at the National Building Museum in Washington, D.C. Visit http://www.nbm.org/families-kids/festivals/big-build.html to learn more. The Electrical Alliance is a cooperative effort between electrical contractors of the Washington, D.C. Chapter of NECA and skilled craftsmen of the International Brotherhood of Electrical Workers, Local 26. Sponsored by the Electrical Alliance, the JATC offers three- and five-year tuition-free telecommunication and electrical apprenticeship programs. The Electrical Alliance and JATC are dedicated to giving back to the community. Hire a service-oriented electrical contractor for your project today, visit www.electricalalliance.org to learn more.